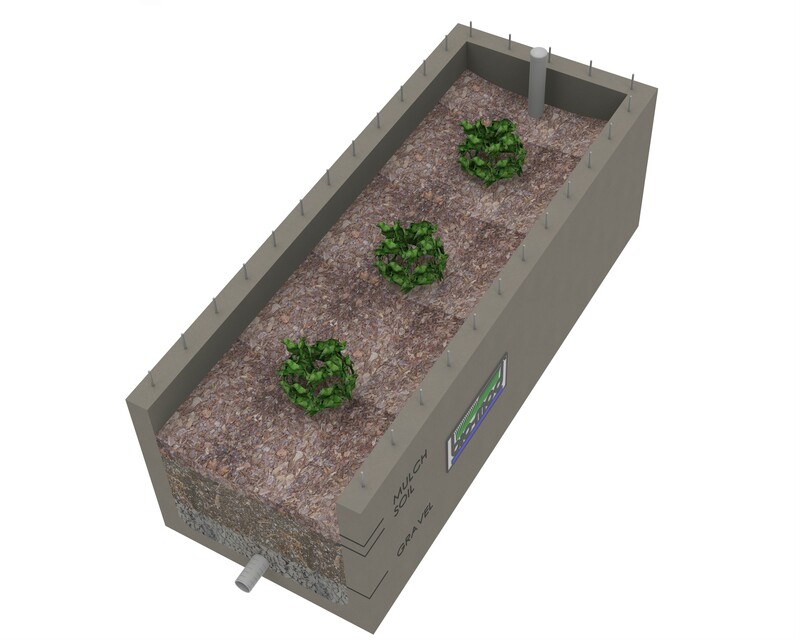 BioMod® Modular Bioretention System is a modular precast concrete biofiltration cell system that has been developed to add consistency to design and construction, with features to enhance filter performance, structural integrity and reduced construction and ongoing maintenance costs. 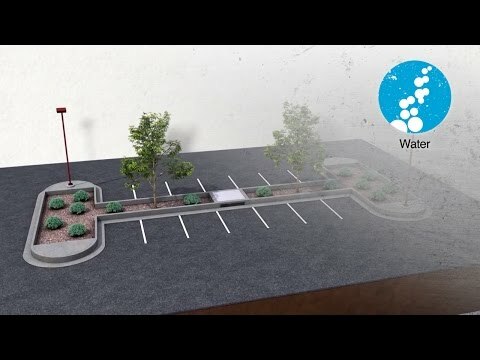 BioMod® is a conventional, structural bioretention system that uses filtration, sorption and biological uptake to remove Total Suspended Solids (TSS), metals, nutrients, gross solids, trash and debris as well as petroleum hydrocarbons from storm water runoff. The BioMod® system is designed as a series of modular precast concrete sections which are filled with layers of aggregate, bioretention media, plantings and mulch. Standard components include trench and end sections as well as modules for inlet and pre-treatment, placement of large trees or light posts, and overflow and bypass. The trench sections can be provided with open bottoms to promote infiltration and retain water on-site. BioMod® is engineered for use with conventional, non-proprietary, low-flow rate media as specified by a local agency. A wide variety of plants and trees may be used in the BioMod® system. Plantings appropriate for the local area are typically specified by the designer. Made from high-quality precast concrete in the controlled environment of our manufacturing plants throughout the U.S., BioMod® can be produced locally and installed quickly, providing an economical bioretention solution. BioMod® is available in a wide range of standard sizes that can easily be configured to meet your site-specific drainage and layout requirements, and our engineers can help you size an effective system and source media for your next project. As with any storm water treatment system, the BioMod® unit requires regular maintenance to prolong the life of the system. Routine maintenance includes inspection of the system and health of the plants, removing trash and debris, and replacing mulch as needed. Frequency of maintenance depends on the conditions of the site and performance of the system. System components arrive at the jobsite ready to be set into place with minimal assembly which accelerates construction. Fast installation also means less time with an open excavation, increasing jobsite safety. Prefabricated structural system produced in our local facilities to the highest dimensional and material quality standards. 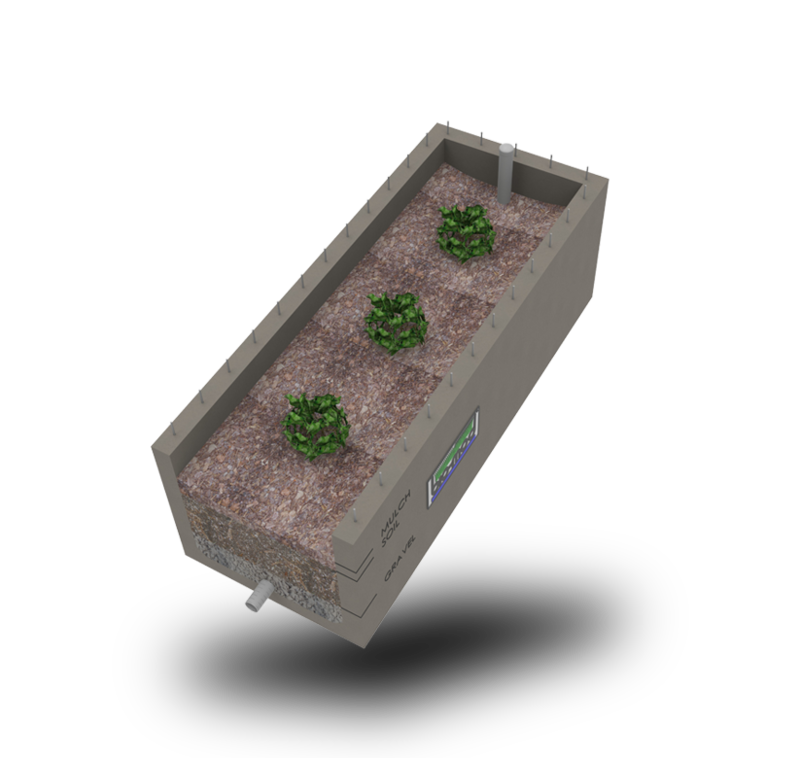 Modular design allows a designer to incorporate bioretention cells in almost any configuration. Utilizes the local jurisdiction’s approved low-flow rate media blend, so no additional media approvals are needed. Couples engineered bioretention media and plantings to create a sustainable LID solution to help maintain pre-development site conditions. System can include an open bottom to promote infiltration. Optional pre-treatment and bypass module captures and retains trash and debris, preventing it from reaching the bioretention cell surface to prolong the life of the media. Other upstream pre-treatment options are available. Systems incorporating pre-treatment modules collect trash and debris in one location, making maintenance simple. Regular maintenance entails inspecting the system and health of the plants, picking up trash, and replacing mulch as needed. BioMod® can contribute to the following LEED credits: SD-6.2 Storm water Design: Quality Control, SS-5.1 Site Development: Native Vegetation, SD-6.1 Storm water Design: Quantity Control, SS-7.1 Heat Island Effect: Non-Roof (Shade), WE-7.1 Water Efficient Landscaping.